Everyday I’m bombarded with questions about what my favorite type of Betta fish is, and although I love them all, I do have a favorite…. 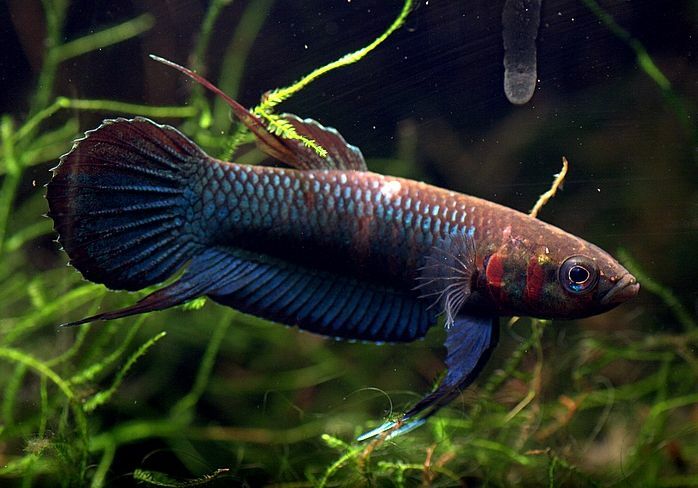 The penang betta fish is a relatively unknown species, but is definitely one of the best to keep. Not only are they well behaved and low maintenance, they’re also very nice to look at and come in a variety of colorings. You can see from the image above that the fish tends to be darker then other Betta fish, which is part of the reason why I like it so much! It’s great to have colorful fish in your tank, but I quite like how mysterious the Penang is. You finally got the answer, so stop bombarding me with questions now!